August and September 2000: the Central Council of the PFDJ and the National Assembly of Eritrea hold two sessions. The PFDJ Central Office prepares an “assessment” of the Eritrea-Ethiopia war and presents it to members of the Central Council. The assessment states, “We should not deny that some senior cadres and leaders of the front had exhibited spirit of despair and defeatism…we should identify its origins and the appropriate solutions.” Members of the Central Council argue that the Central Office does not have the authority to level accusations against the members of the Central Council. A decision is made to make a more comprehensive assessment for submission to the next session of the Central Council. The National Assembly decides on Eritrea’s first election: December 2001 and appoints a committee, headed by Mahmoud Sherifo, Vice-President, to draft the electoral and party formation laws. October 1, 2000: Having met in Germany in the last week of September, thirteen Eritrean scholars and professionals, later known as “G-13”, who reside in Europe, the United States, Eritrea and South Africa, write a letter to President Isaias Afwerki. The letter, which was leaked and came to be as the “Berlin Manifesto” spoke of a nation whose government is beset by “serious contradiction and a major rift among the leadership” and called for a sober appraisal of post-war Eritrea. It called for national reconciliation, collective leadership, implementation of the ratified constitution, abolishing the “Special Court”, divesting the ruling party from the economic life of Eritrea and called on the President to seize the moment to turn a crisis into an opportunity to “re-claim your hard-earned reputation.” The letter was signed by Araya Debessay (USA); Assefaw Tekeste (USA); Bereket Habte Selassie (USA), Dawit Mesfin (UK), Haile Debas (USA); Kassahun Checole (USA); Khaled Beshir (USA), Miriam M. Omar (UK); Mohammed Kheir Omar (Norway); Mussie Misghina (Sweden); Paulos Tesfagiorgis (Eritrea); Reesom Haile (Brussels) and Lula Ghebreyesus (South Africa.) The latter withdrew her association shortly after signing the document. November 8, 2000: Saleh Kekya, who had served as the Chief Administrator of the president’s office and later as Eritrea’s Ambassador to the Sudan before taking the transportation and communication portfolio, was transferred to the mayorship of the port city of Assab. The Minister refused the assignment. January 1, 2001: Dawit Mesfin, a participant in the meeting held in Germany that resulted in the “Berlin Manifesto”, is interviewed by Awate.com shortly after his return from Asmara. Mr. Dawit Mesfin, along with ten signatories of the Berlin Manifesto, had traveled to Asmara, at the invitation of President Isaias Afwerki, to discuss the issues they raised in their letter. Dawit Mesfin describes the meeting the group had with President Isaias Afwerki on November 25, 2000 as a “gate crashing experience” from the standpoint that it actually took place. However, in terms of content, about an hour of the time was spent discussing the leaking of the private letter. In this destructive campaign, it is expected that the Woyane would be vanguard. It is a campaign that it has embarked on, and an effort it has accelerated, since the day after the conflict and for the last two and half years. We can skip over the role of the traitors who collaborated with Woyane by saying it is no different from Woyane. As for those who, in the midst of trying and challenging times, were jockeying and hustling about to exploit the situation by selling national and people’s interest for self-interest, we have seen many of these opportunists in our long struggle. What demands attention, although very few in number, is the [presence of] cadres and leaders of the Front who, for various reasons (panic, hopelessness, absconding responsibility, to create political opportunities by complaining about lack of position and authority) participated in the campaign. January 19, 2001: Major-General Berhane Gebrezgabhier is fired from his duties as Chief of the Eritrean National Reserve. February 7, 2001: Mr Mahmoud Sherifo, the Vice President of Eritrea, the Minister of Local Governments and the National Assembly-appointed Chair of the Committee to Draft Electoral Laws, was fired by the President and his subordinates (the Regional Governors) ordered to report directly to the President’s Office. March 8, 2001: Mr. Haile Menkorios, Eritrea’s Permanent Representative to the United Nations, accepts a position with United Nation as the Secretary General’s envoy to Afghanistan. April 12, 2001: The First Comprehensive Manifesto for Reform, penned by “Tesfay-Sherif”, a pseudonym for “one or more” PFDJ Reformers surfaces. This manual, written shortly after the end of the Eritrea-Ethiopia war, it the first detailed glimpse at the issues raised by the Dissenters. It goes through an extensive assessment of the ruling party’s practices and their impact on the Eritrea-Ethiopia war. Issues such as claiming the ownership of “Badime” and “Bada” are nothing new. These claims started in the eighties although there was an intentional negligence from our side, for which we do not know the reasons. Moreover, the Ethiopians were unilaterally demarcating the places and creeping gradually towards the Gash River, probably to materialize the ancient map of old Tigray known as “Mereb- Milash”. Since 1994, the administrations of the Gash Barka region as well as our consulate in Mekele were sending reports notifying of developments concerning this issue. These reports were, however, neglected with contempt by the concerned government authorities in Eritrea and were viewed as the result of unjustified emotions. The activities of changing the marks across the border by the Tigrayan militias were described as being the deeds of some fanatics in the Zonal Administration and were not adopted by the TPLF, which was taken as a strategic friend, as an organization. In 1997 there came a new development as all the Eritrean inhabitants were deported from Badime in an organized manner. This incident was pictured by the Eritrean Television which also conducted some interviews with the deportees but the program was prohibited from being broadcast. The village of Adi-Murug in the Bada area was also occupied in about the same time. On the Role of The “Council of Ministers”: The Council of Ministers is totally ineffective. Any member in the council of ministers is appointed and expelled to and from the council by a letter from the President for reasons that are exclusively known only to the President. The Council does not have regular meetings and its sessions are limited to each Minister presenting the report of his Ministry and to listening to a briefing by the President on the current situation of the country. Major national issues such as foreign, security and economic policies are not discussed seriously. May 2, 2001: Mr. Beraki Gebreslassie, the Eritrean Ambassador is called back to Eritrea. Mr. Beraki Gebreslassie was the Minister of Information prior to his to assignment to Germany. No assignments were given to him when he returned to Eritrea. May 27, 2001: Fifteen members of the Central Council of PFDJ [Eritrea’s ruling party] as well as Eritrea’s National Assembly signed an Open Letter to all PFDJ members. In the Open Letter, the authors, all prominent members of Eritrea’s liberation movement, accused the President of the Republic of Eritrea, Mr. Isaias Afwerki, of “conducting himself in an illegal and unconstitutional manner.” The group, which later came to be known as “G-15”, or Reformers, called on the President to convene a meeting of Central Council and the National Assembly so that the two bodies may conduct open discussion and extensive assessment of the Eritrea-Ethiopia war. The 15 signatories are: (1) Mahmud Ahmed Sheriffo (2) Haile Woldensae (3) Mesfin Hagos (4) General Ogbe Abrha (5) Hamid Hmd (6) Saleh Kekya (7) Brigadier General Estifanos Seyoum; (8) Berhane GhebreEghzabiher; (9) Astier Feshatsion; (10) Mohammed Berhan Blata; (11) Petros Solomon; (12) Germano Nati; (13) Beraki Ghebreslassie; (14) Adhanom Ghebremariam and (15) Haile Menkerios. June 7, 2001: The Committee to Protect Journalists (CPJ) writes Eritrea’s Justice Minister, Fozia Hashim, inquiring of the whereabouts of 15 journalists. The Justice Minister reports that they are either currently participating in national service or working for the government media or ministries. June 8, 2001: President Isaias Afwerki fires the Minister of Trade and Industry, Mr. Haile Weldense (Drue) and the Minister of Marine Resources, Mr. Petros Solomon. Mr. Haile Weldense was the Foreign Minister during the two-year war with Ethiopia. Both were signatories to the Open Letter, which was critical of President Isaias Afwerki. June 14, 2001: Eritrean journalists Alazar Kelit and Amanuel Zerzghi (New York) interview Ambassador Haile Menkorios. Ambassador Haile calls for tolerance. He says: “One may oppose an opinion; but it is not constructive to accuse someone of sub-nationalism and anti-national for refusing to march in step lock.” Later on, he cancels a scheduled interview because he believes it is not constructive to polarize Eritreans into supporters and critics of the Reform movement and that he has come to believe that the interview would do just that. He concludes his explanation by saying that he will neither nominate himself nor accept other’s nomination of him for any political office. June 22, 2001: Al-Hayat interviews President Isaias Afwerki. The President says he cannot comment on whether there is any validity to the claims of the Reformers as outlined in their Open Letter and that the judgment is up to the Eritrean people and that it is best that he exercise patience until then. He added that there was nothing new to the issues raised by the Reformers and that he considers their open letter an empty barrel that makes a loud noise and that he has warned them of the dangers to the national security. With respect to distribution of authority, he said that the problem is not that he exercises too much authority but that, in the past, there wasn’t sufficient monitoring of others. He also said that the firing of Ministers Haile Weldensaie and Petros Solomon had nothing to do with the prevailing environment. He also defended the Special Court and dismissed its critics as irrelevant. June 20, 2001: BBC reports that at a ceremony to mark the annual Eritrea Martyr’s Day, President Isaias Afwerki announces the number killed in the Eritrea-Ethiopia war that concluded a year earlier to be 19,000. No number of wounded or POW was given. June 20, 2001: Asmarino.com www.asmarino.com posts a May 10, 2001 interview President Isaias Afwerki conducted with Eritrea’s free press. Dubbed as “48 Questions in 6 Hours”, the interviewers report that the President said: “There is no such thing as freezing. I have never heard of anything called freezing.” I know nothing of the claim that “there is a great deal of difference amongst the leadership of the PFDJ.” “I am amazed by what Mahmoud Sherifo said in the interview with Tsigenay.” And that, “if there are people in authority or leaders of the Front who abdicated their responsibilities, they must have forgotten their duties. If there are those who did not do their job well, or those who did wrong, or made mistakes, they should be asked to account for it. 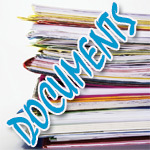 On The Discussion Paper distributed by the Central Office in January 2001: The Discussion Paper that the Central Office initiate in January is illegal because it was not approved by the Central Council and the Executive Council. I, as a minister, was excluded from the circulation. To enable readers to reach a conclusion, I handed a copy to the private newspaper, Admas. On the allegation that the Reformers called on the President to resign: “After our experience in Badme, and after the initiation of confidence-building campaigns, to see the sudden developments of the Third Offensive, was only un-anticipated by the people, even senior cadres and authorities who did not have sufficient information were saddened and distressed. Given the developments, if, at the time, someone were to say: “just like Gemal Abdel Nasser offered his people to resign at the conclusion of the 1967 war when Egypt was having military problems, the President and the Government ought to submit its resignation to the people.” Is there anything wrong in saying this? Does this necessarily mean it is execution of the Woyane goals? Given the information at one’s disposal, isn’t one allowed to make recommendations on what the best military option is? To recommend withdrawal on one’s assessment that its capability is lesser or the enemy’s is greater; to recommend attack based on one’s assessment that one’s capability is greater and the enemy’s is less and then to learn that one’s assessment and thus one’s analysis may be wrong…does that mean one should be accused with defeatism or, conversely, puffery? On those accusing the Reformers of Defeatism: Although one can’t say that those who now are at the Central Office have never fired a gun, for them to accuse those who have successfully led many battles during the liberation war of “defeatism” is wrong and indication that they have ulterior motives which, at the very least, is to cover up blunders; or at its worst, to defame people before the PFDJ Congress. On How To Solve the Crisis: The president should not try to settle this dispute forcefully and should not try to solve this extra-legally or try to smash it using some pretext. It can only be solved via discussion and debate. If he wants to solve it legally, I’d like to clarify that he cannot be the prosecutor and the judge. On the Role of the Eritrean People: The people cannot be simple observers. Just like they tried to mediate during the ELF-EPLF disputes, they have the same responsibilities now, as well. June 25, 2001: The Government of Eritrea reverses its decision to expel four Americans who work for various NGOs including USAid under pressure from the United States. The Americans were allegedly participating in behavior incompatible with their responsibilities. June 27, 2000: Admas, a private Eritrean newspaper interviews Saleh Kekia . In a wide-ranging interview, Mr. Saleh Kekia talks about constitutionalism, elections, Special Court, future of PFDJ and conflict resolution. On the matter of whether raising their issues now is ill-timed, he responds: “We believed in and fought for the principles of PFDJ. PFDJ is neither too distant to us, nor too close to others. It is our front. What we are saying is we have problems in the implementation, so let’s correct them. We are saying let’s execute the goals we believe in. To say this is not the right time is to deny reality.” On whether there is a danger that the crisis could lead to confrontation, Kekia responds: I don’t believe that the situation will escalate to confrontation. Because solving problems through debate and discussion is a sign of civilized tradition, I hope we will resolve it that way.” Asked why after so many years of comraderie the situation has deteriorated, he quotes Lee Kuan Yew, “the leader who transformed Singapore from the Third World to the First World”, as having once described the secret to Singapore’s success as “confidence.” Saleh Kekia goes on to say that this absolute trust in the leadership and each other was accounted for EPLF’s success and states that this ingredient is now missing. June 27, 2000 : Kestedebena, a private Eritrean newspaper, gives an opportunity to General Uqbe Abraha to disclose his communication with President Isaias Afwerki. The General had sent a letter to the President on 11/27/99. In his letter, the General shares with the President what the image of the President is amongst his former colleagues: (1) Comrade Isaias has changed: he no longer consults with his colleagues; he thinks that only he works for the nation; he believes in making unilateral decisions; the Cabinet is there in name only; (2) there is no institutionalism: they are there in name only; there is much interference in their work; an air of apathy and lack of accountability rules; (3) Ambiguous Policies: not based on constitution; distances friends and allies; discourages those with capital; duplication of efforts and lack of clarity; (4) No constitutionalism: national security and people’s integrity not seen within perspective of constitution; work not governed by law. In an undated letter, the president responds by asking: who is saying that I have changed? Since when? “Not consulting” with whom? About what? When? How does one express by evidence the emotional claim that the president thinks there is no other than him? Who are those saying this? June___ 2001: Voice of America (VOA) interviews Petros Solomon. Mr. Petros Solomon explains that one of the reasons the Reformers were forced to write an Open Letter was because the PFDJ Central Office had conducted exclusive seminars with senior cadres using the “Discussion Paper” developed in January 2001. He went on to explain that although the nation could benefit from experienced leadership, a group whose background is working in secretive organization may not culturally adopt to an environment that requires openness and transparency. He stated that holding power for long has negative consequences and new leadership that reflects the wishes of the people should emerge. He said he wished to reassure the people that he has no doubt that the government, after conducting discussions, would solve the problem and prepare them for a constitutional government. July 3, 2001: Al Hayat, an Arab daily, reports that government officials interrogated elder Eritreans who attempted to mediate the crisis. July 15, 2001: Fifty Eritrean senior citizens who had attempted to mediate the dispute between government officials were summoned by the Police Commissioner and asked to account for their motivations. The government wanted to know if they were attempting the mediation through their own initiative or because they were asked to by the Reformers. The government informed the elder citizens that, per the Penal Code, more than seven Eritreans couldn’t congregate without the prior consent of the government. July 17, 2001: The Eritrean Ambassador to Scandinavian countries, Ms. Hebret Berhe, resigns her position and moves to the United States of America. 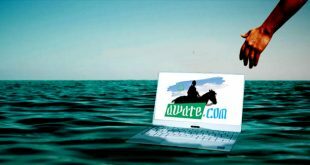 She discloses her reasons for doing so in a letter she sent Awate.com www.awate.com. 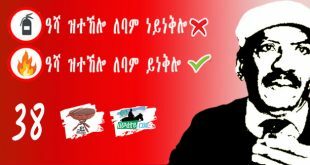 She wrote: “The PFDJ led by President Isaias, is today characterized by its strong opposition to reform and democracy. When people are eagerly waiting for a democratic transition, PFDJ is postponing it indefinitely. When people are aspiring for the rule of law, it’s being stifled and Kangaroo courts (Special Court) are firmly in place doing a great disservice to justice. Malpractice of law is at its worst in the history of our nation. People are subjected to intimidation for their political beliefs. Institutions have been deliberately made not to function. A one-man rule has been firmly installed rendering the slightest democratic practice impossible. July 23, 2001: In an address to scholars and professionals a seminar organized by the Eritrean Studies Association in Asmara, Justice Teame Beyene accuses the executive office of interfering in the affairs of the judiciary branch. July 25, 2001: Mr. Mathewos Habteab, the Editor-in-chief of MeQaleh, a private bi-weekly, which had interviewed many of the Reformers, was abducted by security officers from his home. July 31, 2001: Mr. Semere Kesete, the president of student union of University of Asmara, was arrested at 7:45 AM from his home . At a graduation ceremony address, Mr. Semere Kesete had delivered a speech that included criticism of the government and the university administrators. Also, the student union and the administrators of the University of Asmara had been in negotiations about the terms of their summer campaign. The sticking points were later reported to be whether the amount of living allowances (Nkfa 800) was net of cost of meals or not. August 3, 2001: Hadas Ertra posts an announcement by the administration of the University of Asmara. The bulletin summons students to report for duty on August 9, at 7:00 AM for a three-day orientation. They are told that the obstacle–Semere Kesete—is now in the hands of the Courts. They are told to go to the University for details of their assignment and that they are to pack their clothing, bedding and grooming stuff. As they leave, they are promised 800 Nakfa, dry food, medicine and mosquito nets. August 6, 2001: CPJ writes a letter to the Eritrean government inquiring on the whereabouts of Mr. Mateos Habteab, the editor-in-chief of Meqaleh newspaper. August 7, 2001: Uniformed and plainclothes security officers surround the University of Asmara in an effort to discourage student congregations around the campus. Soldiers stationed at entry points to Asmara ask for identification cards to ensure that students do not leave the city. August 10, 2001: Hadas Ertra (No 11), the government newspaper publishes an interview it conducted with Alamin Mohammed Seid, PFDJ’s Secretary, on August 8. In the first extensive explanation of the government’s standpoint, Mr. Alamin M. Seid states that the campaign of the Reformers is destructive for many reasons, the three major ones being: “First, what has enabled this country to foil the Offensives of Woyane is our people’s volunteerism, our people’s self-confidence and its unified challenge is a huge contribution. By blending self-doubt and discontent, this new environment distances trust, volunteerism and defiance. Second, it encourages and abates the Woyane and all those who harbor bad will towards us to continue with their efforts. That, the Woyane, after failing to achieve our surrender that they sought at the military front are now agitating to bring that about via social and economic crisis is a reflection of this. Third, the worries being creates are negatively impacting our international relations and partnership. The Secretary went on to state that the Party had shared this assessment in its sessions of August and September and, after requiring self-criticism from the group, had every intention of moving forward. However, the Reformers, knowing that this issue will surface, decided to engage in a campaign of pre-emptive strike. He goes on to state that the Reformers were behind the movement of the G-13. August 11, 2001: In a paper entitled “In Lieu of Defamation, Better to Argue with Facts” the Reformers respond to the government’s allegation as articulated by Mr. Alamin Mohammed Seid. The reformers argue that they were forced to go public after the saw the government’s defamation campaign initiated in January 2001 and after their repeated efforts to call for a meeting between February and May 2001 were rebuffed. They say that “Of the 15 individuals, there is no one who tried to absolve the enemy and place all the blame on the nation. On the issue of the Peace Process and the War with Woyane, two meetings were held at the Central Council and National Assembly level on July and September 2000. If there is an allegation that an attempt was made to absolve Woyane and place all the blame on the nation, bring the evidence and let the notes [minutes] of the meetings be disclosed to the public. If the answer is, this has never been done and it shouldn’t be disclosed to the public, we call for the formation of a National Committee of Elders who can be trusted with the information and the evidence.” With respect to Mr. Alamin Mohammed Seid’s claim that some Reformers called for the President’s resignation, they respond, “Not a single individual from the 15 accused said anything like the above. If there is anyone who has evidence that states otherwise, we call on them to present their evidence. As for the attitude expressed after the withdrawal from Barentu, the Reformers say, “ Because most of the people were led to believe that after the first shot of the Third Offensive we were going to show miracles, the concern they had developed during the first days of the war turned into extreme anger and questioning the leadership of the war once we withdrew from Barentu. And because the war was being led by the president himself, it was natural that a great deal of the talk dealt about him.” They go on to ask: Concurrent with the withdrawal from Barentu, wasn’t there another extremely dangerous decision made and that a great deal of loss was averted due to lack of its execution? August 11 – August 12, 2001: Nearly 2000 Asmara University students are bussed to WiA, a desert camp 30 k.m. south of Massawa. The students had refused to report to the University, as instructed by the University administrators, pending the outcome of the student union president, Semere Kesete, who had been detained since July 31. 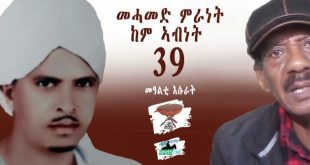 August 14, 2001: Yirga Yosef, a University of Asmara student, died while in government detention. His death was attributed to heatstroke he suffered while in WiA, a desert detention camp, 30 km from Massawa. 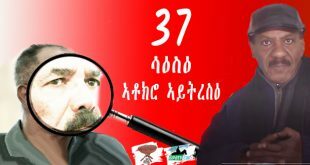 August 15 – August 18, 2001: Trgta, a pro-government newspaper of National Union of Eritrean Youth & Students (NUEYS) writes an article entitled:” The Truth is surfacing its head: Accountability May shift from 15 to 3!” and “No Wise Men Within G-3?” The Reformers allege that the writers at the newspaper are actually members of the Central Office writing articles using pen names. August 19, 2001: Yemane Tekie, a university of Asmara student, died while undergoing treatment for heatstroke at Halibet Hospital. He was part of the 2000 University students who were forcibly bussed to Wia by the government for refusing to report for summer duty. Through its ministry of foreign affairs, its official spokesperson and the website of the ruling party, www.shaebia.org, the government expressed “deep regret” for the deaths and blamed the student union and the Reformers for agitating the students into refusing to perform their duty. It says that the government had to send the students to WiA after having exhausted all means to negotiate with the students to convince them to perform their agreed-upon assignment of conducting AIDS awareness campaigns and statistical compilation of the war-displaced population. August 20, 2001 Tsigenai: Editorial: “The Private Press Respect the Law: The Government Has Responsibility for their existence.” The private press is governed by the press law and is, thus, operating legally. The government has responsibility for their existence. In addition, they have expectations of the government. To ensure that fulfill their national responsibility, not only should the government co-operate with them, it should defend them as well. In the event, to look at them with an eye of suspicion because they are critical of the government is not only counterproductive but it is the equivalent of the government working against the Press Laws it passed. August 23, 2001: self-identified only as “University Of Asmara Students, Alumni, And Concerned Eritreans”, Eritreans sponsor a petition calling for the “immediate release of detained university students.” The appeal is directed to the Eritrean government and “particularly to the Eritrean National Assembly” to release students held at WiA and the student union president, Semere Kesete. 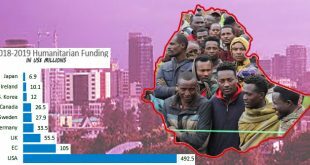 Over 2700 Eritreans sign the petition. August 2001: ELF-RC Held its 5th National Congress in Gonder, Ethiopia. 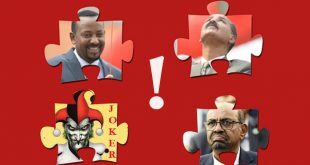 The congress, which was attended by a number of other opposition groups who are members of the Alliance Of Eritrean Opposition Forces, became a major propaganda weapon by the PFDJ, which accuses all Eritrean opposition groups and elements alike of treason. 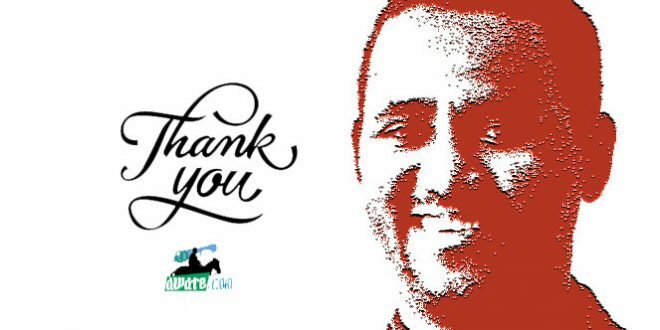 September 1, 2001: Journalist Mathewos Habteab, editor-in-chief of Meqaleh who had been in detention since July 25, is released. It is reported that his release and the directives he received to report to the Ministry of Information are in anticipation of a visit by the Committee to Protect Journalists (CPJ), scheduled for early October. September 1 – 3, 2001: The Eritrean Independent Democratic Movement (EIDM), an opposition entity founded in October 2000, held its second convention in Washington DC. September 7, 2001: In a move to reconcile university students with University administrators, Asmara University’s president, Dr. Weldeab Isaac paid a visit to university students at WiA. Nearly 2000 students refused to see him. As a result, the student’s release, which had been scheduled for the following Monday, was postponed. September 18 – 19, 2001: In dawn raids, the Government of Eritrea arrested eleven of fifteen Reformers at their homes. The eleven National Assembly members arrested are (1) Mahmud Ahmed Sheriffo (2) Haile Woldensae (3) General Ogbe Abrha (4) Hamid Hmd (5) Saleh Kekya (6) Brigadier General Estifanos Seyoum; (7) Berhane GhebreEghzabiher; (8) Astier Feshatsion; (10) Petros Solomon; (9) Petros Solomon; (10) Germano Nati; (11) Beraki Ghebreslassie. Of the remaining four, three, namely Mesfun Hagos; Adhanom Ghebremariam and Haile Menkerios were in the United States. One of the 15, Mohammed Berhan Blata, had disassociated himself from the group weeks prior to the clampdown. The government alleged that the group had committed crimes against the sovereignty and national security of the state. September 19, 2001: Shaebia.org www.shaebia.org, (website of the ruling party) In an article entitled: “Secret New York Meeting Discusses G-15 Plans,” the website reports that members of the Reform movement (“G-15”) held a meeting on August 18, 2001, in New York. The meeting is reported to have included some members of the “G-13”, Eritrean scholars and professionals who had a meeting in Germany in September 2000 and wrote a private letter to President Eritrea, recommending reform. The website reports that “members of G-15 told participants that organization of secret cells (wahios), inside and outside the country, including in units of the Eritrean Defence Forces, was the most crucial task at hand. Second priority was given to the cooperation that has been established with “all Eritrean Opposition Groups”, organized under the umbrella of the Alliance of Eritrean National Forces (AENF). The Mekelle, Ethiopia, based AENF is a coalition of 11 groups, including the remnants of the ELF-RC, Saghem and the Eritrean Islamic Jihad.” Further, the article stated that the group reported, “secret contacts had been established with regional countries” and that efforts were underway to internationally isolate Eritrea. September 19, 2001: Two reporters verify that they had fled to Sudan. The two reporters are Milikias Mehretab and Semere Teazaz, who are, respectively, the editor-in-chief and reporter for Keste Debena, a private Eritrean weekly, they had anticipated the crackdown and had been looking for an escape route for weeks. September 21, 2001: The EU diplomatic mission in Eritrea communicate their protest against the Eritrean government’s crackdown on the Reformers and call on their government to take commensurate steps against the Eritrean government. September 24, 2001: The Government of Eritrea revokes the diplomatic passports of the three PFDJ Reformers who were not arrested on September 18 and September 19. The three reformers—Mesfun Hagos, Haile Menkorios and Adhanom Gebremariam. At least one, Mr. Mesfun Hagos, had flown out of Washington, DC, with his diplomatic passport on September 18 and the revocation took effect while he was in Europe. The government explained that this action is a routine exercise that is applied on any national who is no longer serving in a diplomatic capacity and that the Reformers can apply and receive an ordinary passport. Others dispute this assertion on the basis that the three “diplomats”, such as Haile Menkorius, had not been serving in an Eritrean diplomatic capacity for months and that receiving an Eritrean passport is not as simple as filling out the necessary application at an Embassy. September 26, 2001: Along with Hebret Berhe, Eritrea’s former Ambassador to Scandinavian countries, two of the 15 Reformers, Haile Menkorios and Adhanom Gebremariam, convene a meeting at the Double Tree Hotel in Arlington, VA. The meeting was organized by “Concerned Eritreans” and managed to attract 500-600 people, according to some reports. The session was aborted within half an hour after its commencement by the Arlington police who could not control disruptive elements. September 30, 2001: Between 1200 to 2000 Eritreans are reported to have attended a meeting chaired by Ambassador Girma Asmerom to discuss the draft laws on elections. A resolution was passed—“unanimously and with a standing ovation”–to (1) in light of the Woyane threat, to show solidarity with the Eritrean Government and the Eritrean Defense Forces; (2) to work hard and hand-in-hand with the government in the efforts of demobilization, repatriation of refugees and reconstruction; (3) after observing, in depth, the campaign conducted by a few leaders and their supporters while we were engaged in safeguarding our sovereignty and reconstruction efforts, we conclude that the movement–which is not timely, diverts us from our national focus to other undesirable venues, endangers our unity and mutual trust, creates fissures that could be exploited and dilutes our energies from focusing on important matters—is destructive. This [issue] has been extended more than it should have. While we express our support for the legal remedies [used by the government] to address this matter that endangers our national unity, security and sovereignty, we recommit ourselves to foiling efforts that undermine our national unity, national security and sovereignty.” As a sign of commitment, the assembled group pledged 100,000 to the Eritrean government. 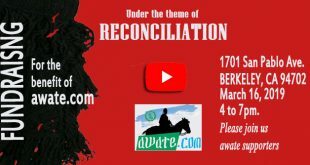 Some residents of Washington, D.C. who did not attend the meeting reported to Awate.com that in an effort to ensure that the meeting would have one of the highest turnouts, the Eritrean Ambassador’s office had spared no effort calling Eritreans consecutively for nearly two weeks. October 2, 2001: Mr. Tseggai Mogos, Eritrea’s ambassador to Italy, is given a 72-hour deadline to leave the country. The move was explained as retaliation for Eritrea’s expulsion of Italy’s ambassador to Eritrea, Mr. Antonio Bandini. October 2, 2001: In a taped address broadcast by Asmarino.com’s “Delina” audio service, Mr. Mesfun Hagos, vows that Although he is innocent and fears that his civil liberties will be violated by the government as soon as he returns, he will, nonetheless, return to Eritrea “as a nationalist and citizen.” He further stated that although he and his 14 colleagues are guilty of nothing more than challenging the “dictatorial, unpredictable and arrogant behavior” of President Isaias Afwerki; that he and his colleagues are “ready to face any charges against us in an open court with all our rights protected.” He advised his listeners to be on alert for any pretext by President Isaias Afwerki to plunge Eritrea into war and to be aware that they may be told that some of the jailed reformers had committed suicide, died accidentally or were shot while trying to escape. ** Mr. Mesfun Hagos, a leading figure from the PFDJ reformers (G-15) vows to return to Eritrea. He made the vow in Germany where he was stranded after leaving the USA after a medical stay on his way to Eritrea, carrying a diplomatic passport. On his depart from the USA, he was seen off by the Eritrean Ambassador to the USA, Mr. Girma Asmerom. Mesfun discovered that his passport was nullified when he was in transit in Germany. Critics of the Eritrean Government believe that nullifying Mesfin’s passport was a step to prevent Mesfin from returning to Eritrea where he enjoys a popular support after 11 of his colleagues who signed an Open Letter to the President of Eritrea were earlier jailed. ** As reported by Shaebia.org, a pro-government meeting of Eritreans in Germany passed a resolution calling for the postponement of elections in Eritrea scheduled for December 2001. ** Asmara University Students announce the formation of an underground opposition group known as Bana Harenet. ** An organization of Eritreans in Australia, known as Eritrean Action Group, sent a letter of appeal to United Nation Human Rights Commissioner, Australian Dept of Foreign Affairs and Trade, Amnesty International and Australian Red Cross. The letter of appeal pointed to the “alarming and blatant violations of human rights in our homeland” and accused the Eritrean government of unleashing “state sponsored terror against veteran leaders (G15 or reformers which include ministers, high ranking military officials), journalists and students and “suspended” the free press in Eritrea.” The letter called for the release “unconditionally all political prisoners; Abolish the Special Court (conducts trials behind closed doors and allows no right to defence counsel or appeal to higher court); Implement the 1997 ratified National Constitution without delay; Defer national elections scheduled for December 2001 and establish an independent Election Commission. Invite UN and other independent international observers during elections;Abolish PFDJ’s monopoly on the economy; Respect of the democratic and human rights of all citizens. ** Two Eritreans, Ali Alamin and Kiflom Gebre Michael who worked for the political and economic affairs office at the American Embassy in Asmara, Eritrea were detained by security personnel. The arrest came on the same day that the USA released a statement criticizing the Eritrean Government for detaining of the “reformers” and its clampdown on free-press. ** UNMEE repots that hundreds of unclaimed bodies from the Eritrean-Ethiopian border war still rot in the divide area between the armies of the two countries and asked both parties to bury their dead. ** A London meeting organized by Eritreans was violently disrupted when some attendants began to heckle and throw punches and chairs at the guest speaker, Mr. Mesfin Hagos, a member of the PFDJ Reformers (G-15) who had escaped arrest because he was outside the country on Septmber 18, the day his colleagues were detained. Suspicions that the disruption was co-coordinated by pro-government activists were buttressed when the government radio, dimtSi Hafash, praised the disruptive elements. ** Adhanom Gebremarian, Eritrea’s former ambassador to Nigeria and one of the three members of the Reformers who escaped arrest, held a meeting with Eritreans in New Jersey, USA. Following two previous foiled meetings organized for the Reformers, this meeting was noteworthy for the absence of violence and disruption. ** Amnesty International issues a statement expressing concern for the health of members of the “PFDJ Reformisers who had been arrested namely, Petros Solomon, Ogbe Abraha, Haile Woldetensae, Mahmud Ahmed Sheriffo, Berhane Ghebre Eghzabiher, Saleh Kekiya, Aster Fishatsion, Hamid Himid, German Nati, Estifanos Seyoum and Beraki Ghebre Selassie (m). Amnesty International stated that it “fears for their safety and is particularly concerned for the health of Ogbe Abraha who suffers from asthma and Haile Woldetensae who is diabetic.’ Amnesty International also wrote a letter of appealed on behalf of “nine journalists…[who] have been…detained incommunicado at a police station in the capital, Asmara, for over a month.” The nine journalists are Yousef Mohamed Ali, Medhanie Haile, Dawit Habtemichael, Amanuel Asrat, Dawit Isaac, Temesken Ghebreyesus, Mattewos Habteab, Aron Berhane, and Seyoum Fsehaye. 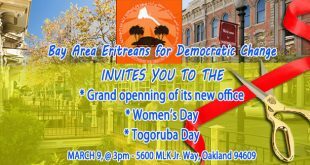 ** Eritreans opposed to the government of Eritrea held a meeting in Seattle. November 4, 2001: Kessela [Sudan] Region Governor, Adam Hamid Mussa and Gash-Barka [Eritrea] Region Governor, Mustafa al-Nour Hussein, signed an agreement for bilateral cooperation between their two regions. Kessela region in the Sudan borders the Gash-Barka region in Eritrea. The agreement signed provides for the creation of joint committees on economic, political-security and cultural-social cooperation. They also agreed to exchange intelligence information, as well as cooperate in fighting infiltrations and smuggling across their common border. The Sudanese and the Eritrean opposition forces are stationed in the Gash-Barka/Kessela regions. November 5, 2001: In a release issued to Awate.com, Endrias Habtegerghis, Eritrea’s Charge d’affairs in the Netherlands, indicates of his resignation as a protest of the government’s arrest of the PFDJ Reformers and his belief that the ruling party is not committed to surrendering power to the people. November 7, 2001:] A group of students who were held in Wi’a and other detention camps after they had protested against the policies of the government and the university of Asmara administration were released. Students had protested against summer work program compensation and fairness as well as other policy issues of the university. The leaders of the student union remained in detention. ** A recently-formed Eritrean advocacy group known as “Concerned Eritreans for Democracy and Reconciliation, Metro-Atlanta “ held its first seminar in Atlanta, GA. Adhanom G/Mariam, a member of the PFDJ Reformers, was the group’s guest speaker who, according to published reports, presented a well-received speech of the political crisis in Eritrea. ** Four ambassadors of EU member states (Germany, Holland, France and Denmark) return to Eritrea, a month after they were recalled to Europe for consultations. The Ambassadors were recalled for consultations by their government in protest against the expulsion of Ambassador Antonio Bandini of Italy who also represented the European Union. Mr. Bandini did not return to Eritrea: neither Italy nor the EU has representation in Eritrea. ** Two weeks after his meeting had been disrupted by pro-government Eritreans, Mesfun Hagos, a leading member of the PFDJ reform movement, met Eritreans in London . There was strong police presence in the meeting, which was convened at a church and it was concluded without any disruptions. ** Eritreans residing in Sweden organize a meeting for Mr. Mesfin Hagos]. Though the meeting was concluded peacefully, a clear sign of opposing the tones of Mr. Mesfin started to emerge from Eritreans who are supporters of the traditional opposition and the Independents. The main complaints was that Mr. Mesfin Hagos and, by extension, the Reformers, were despite being victims of unsubstantiated allegations, only too eager to accuse others of unsubstantiated allegations and to engage in exclusionary tactics. ** Two Eritrean journalists Milkias Mehreteab and Semere Tazaz held their first public event in Washington D.C. The reporters presented a chilling report of the political crisis in Eritrea and presented detailed description of the scores of Eritreans languishing in jails without charge and appealed to Eritreans in Diaspora to desist from uncritical support of the government. The two reporters had fled to the United States and escaped detention in Eritrea when all editors and reporters of the private press were jailed during the September clampdown on the private press. 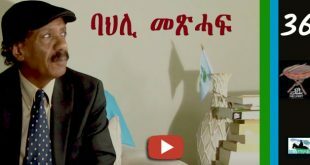 ** Mussie Ephrem, a young Eritrean residing in Sweden filed a Habeas Corpus, a first of its kind by an Eritrea citizen against the government of Eritrea. The petition was filed by his lawyer to protest the arrest of the “PFDJ reformers.” The petition appeals to language in the unimplemented Eritrean Constitution as well as “the African Charter on Human and Peoples’ Rights, the International Covenant on Civil and Political Rights and the Universal Declaration on Human Rights”, all of which Eritrea is a signatory to. ** Eritrea and Ethiopia’s Foreign Ministers present their cases to the International Court at The Hague. Both sides have presented their cases to the commission, which is expected to give its ruling in February. ** The United Nations Mission in Ethiopia and Eritrea (UNMEE) issues a statement denying Ethiopian reports of Eritrean military escalation along the common border. This information followed accusation and counter accusation by both Eritrea and Ethiopia each claiming the other is preparing for or looking for pretext for war. ** The Eritrean president, Isaias Afwerki, met with the president of Sudan’s National Democratic Alliance (NDA), Mowlana Mohammed Osman Al Mirghani, and the Chairman of the Sudan People’s Liberation Movement (SPLM), Doctor John Garang. The two leaders were in Asmara for a meeting of the NDA’s policy-making body, the Leadership Council. 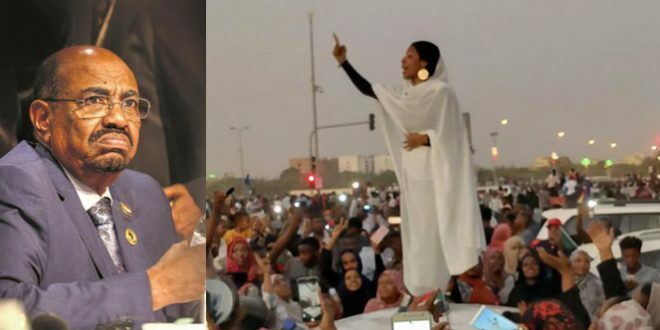 In the meeting, President Isaias is reported to have “…stressed that the experience of the past decades has conclusively proved that there can be no military solution to Sudan’s problems”. He then urged the NDA to “vigorously pursue the only viable option for Sudan, a just and comprehensive peace settlement”. He further added, ” the government and the opposition owe it to the people of Sudan to bring the war to an end as soon as possible”. Members of the Eritrea’s opposition groups wondered why President Isaias doesn’t apply in his own country what he preaches to the Sudanese. ** The border commission charged by the United Nations to resolve the border dispute between Eritrea and Ethiopia began hearing the cases of the two countries in The Hague. The commission was established by the authority of the Ceasefire Agreement signed by Eritrea and Ethiopia in December 2000. The terms of the agreement state that the findings of the commission are final and binding, a condition that both nations accepted upon signing the peace agreement. ** UN Secretary General Koffi Anan submits a report on the progress of UNMEE’s efforts in maintaining the peace between Eritrea and Ethiopia. While the report is generally complementary of both nation’s government’s commitment to complying with the terms of the agreement they signed, the Secretary General points out the difficulties the UN Mission is facing in the areas of transportation (by air and on road), demining, determining size and scope of militia, access to airwaves, etc. Judging by the tone and volume of the specifics, the Secretary General’s report seems to indicate that UNMEE has faced more difficulties from the government of Eritrea than the government of Ethiopia. 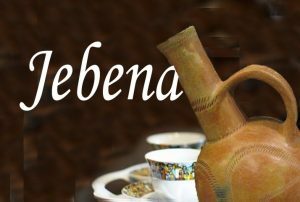 ** Ambassador Hebret Berhe accused the government of Eritrea of “contempt for the Eritrean people” for failing to officially inform the citizenry of the postponement or cancellation of the elections scheduled for December 2001. The Eritrean National Assembly, which authorized the timetable for the election in September 2000, did not convene for a single session in 2001. The Ambassador argued that the Assembly’s failure to protect its members (the PFDJ Reformers/G-15 who have been detained without charge since September) is an indication that its powers have been completely absorbed by the President. Previous ELF-RC: Poised for Another Round of Persecution?